The foundation of cancer prevention is health education. People need to be informed about the risk factors for cancer and the guidelines for early detection. The most effective way to protect against cancer is to change negative lifestyle habits and behaviors. Nearly 80% of all cancer cases are related to lifestyle and environmental related factors. Some of these factors include diet and obesity, excess alcohol consumption, tobacco use, exposure to occupational hazards and sedentary lifestyle. Almost all these cancers can be prevented by living a positive and healthy lifestyle. A healthy diet can significantly reduce your risk for cancer. The diet and cancer page covers the best foods for preventing cancer. Cigarette smoking by itself is a major health hazard. Research estimates that smoking is responsible for more than 440,000 unnecessary deaths in United States each year. The world health organization estimates that smoking causes 3 million deaths worldwide annually. The average life expectancy for a chronic smoker is about 15 years shorter than for a non smoker. The biggest carcinogenic explore in the workplace is cigarette smoke. Of all cancers, at least 28 percent are tied to smoking, and 87 percent of lung cancers are tied to nicotine addiction and dependence as well as increased risk for mouth, larynx, throat and esophageal cancers. Monitor estrogen, radiation exposure, and potential occupational Hazards. Intake of estrogen has been linked to endometrial cancer in some studies but other evidence contradicts those findings. And although exposure to radiation increases the risk for cancer, the benefits of X-rays mat outweigh the risk involved, and most medical facilities use the lowest dose possible to keep the risk to a minimum. Asbestos, vinyl chloride, bischlormethyl, nickel and uranium dusts, fibbers and chromium compounds are occupational hazards that increase cancer risks. An active lifestyle seems to have protective effect against cancer. Although the mechanism is not clear, physical fitness and cancer mortality in men and women may have a graded and consistent inverse relationship. A daily 30 minutes moderate-intensity exercise program, lower the risk for colon cancer and may lower the risk for cancer in women by 20 to 30 percent. In addition, growing evidence suggests that the body’s autoimmune system may play a role in cancer prevention. Moderate exercise improves the autoimmune system. Fortunately, many cancers can be controlled or cured through early detection. The real problem comes when cancerous cells spread, because they become more difficult to destroy. Therefore, effective prevention, or at least early detection, is crucial. Thus this calls for periodic screening, if possible once a month. In addition, a woman should practice breast self-examination (BSE) and men testicular self-examination (TSE). Men should pick a regular day each month (for example the first day of each month) to practice TSE and women should perform BSE two or three days after menstrual period is over. The contribution of many of the other much-publicized factors is not as significant as those I just pointed out. Intentional food additives, saccharin, processing agents, pesticides and packaging materials currently used in some developed countries like US seem to have minimal consequences. High levels of tension and stress and poor coping may affect the autoimmune system negatively and render the body less effective in dealing with the various cancers. In the workplace, the biggest carcinogenic exposure is that to cigarette smoke. Genetics plays a role in susceptibility in about 10 percent of all cancers. Most of the effect is seen in the early childhood years. Some cancers are a combination of genetic and environmental risk of certain types of cancers. Environment however means more than pollution and smoke. It incorporates diet, lifestyle-related events, viruses and physical agents such as x-rays and exposure to the sun. 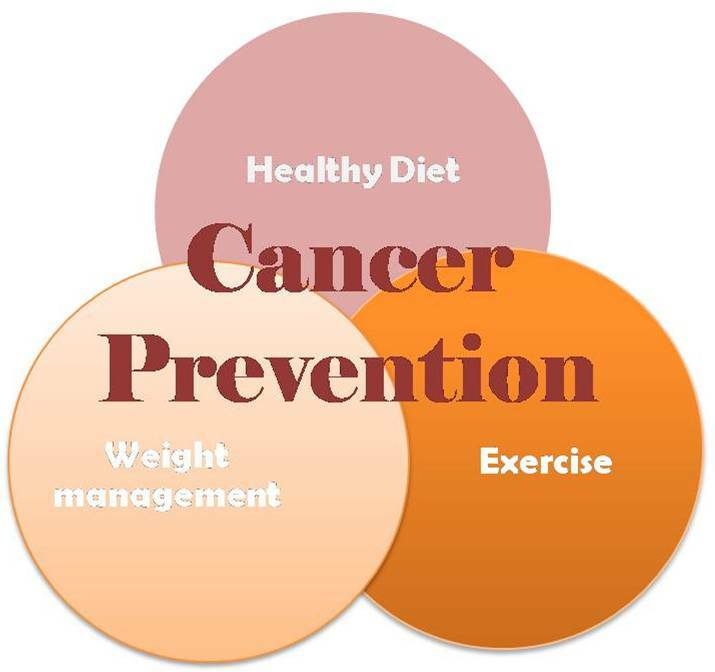 Like coronary heart disease, cancer prevention is possible by following the above guidelines as well as those from a medical practitioner.